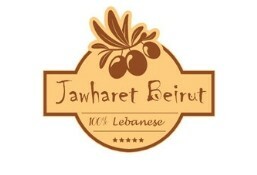 Jawharet Beirut is currently closed for delivery and it will open at 10:00 AM today . Tahini sauce, tahini paste and topping of pine nuts, olive oil, parsley and cumin. Slices of halloumi cheese fried on a pan. Sliced mixed fruits served on a platter. Eggs poached in a sauce of tomatoes, chili peppers, and onions spiced with cumin. Scrambled eggs cooked with tomato. Scrambled eggs cooked with boiled potatoes. Eggs cooked with halloumi cheese. Eggs cooked with mortadella cheese. Pita drenched in a spiced tomato broth, topped with tender roasted eggplant. Eggs poached in a sauce of tomatoes, chili peppers, onions and shrimps spiced with cumin. Eggs poached in a sauce of tomatoes, chili peppers, onions and makanek spiced with cumin. Eggs poached in a sauce of tomatoes, chili peppers, onions and soujouk spiced with cumin. Eggs poached in a sauce of tomatoes, chili peppers, onions and meat spiced with cumin. Creamy dip made from roasted eggplant. Creamy hummus topped with garlic, lemon and olive oil. Hummus topped with fried pine seeds. Boiled chickpeas mixed with tahineh and lemon juice. Grilled egg plant with vegetables. Rice stuffed grape leaves in oil. Parsley, tomato and onion salad. Mixed vegetables and herbs and fried bread, salad. Boiled chickpeas mixed with tahineh and lemon juice, topped with meat. Grilled slices of halloumi cheese. Slices of fried halloumi cheese. Toasted pieces of flatbread topped with eggplant and meat. Grilled pita bread sandwiches that are stuffed with seasoned minced meat. Traditional meddle east lentil soup. Sliced fresh mushrooms simmered in cream and fresh grated parmesan cheese. Chicken stock boiled with veggies. Skewers of marinated chicken breast with special spices. With French fries seasoned with spices. Fried breaded chicken, served with salad. Grilled breaded chicken, served with salad. Chicken shawarma served in a platter with fries and Arabic bread. Mix of prawns, squid, hamour fish and fries.